Smoking is now thankfully becoming less widespread, but it still remains a leading cause of death and disease in the UK. Around 24% of people smoke in Scotland resulting in 13,500 deaths. 24% of all deaths in Scotland are caused by smoking each year. NHS costs are estimated at £2.7 billion each year, with costs to the wider UK economy of around £2.5 billion in sick leave and productivity. Quitting is the best thing you’ll ever do. You will save money – the average smoker has 13 cigarettes a day, which works out as 364 cigarettes a month. That’s £141 a month and £1,696 a year that you could be saving by not smoking. You’ll be more confident in social situations because you won’t smell of stale smoke anymore. You will protect the health of those around you by not exposing them to second-hand smoke, however, careful you think you are being. After 20 minutes – Pulse rate returns to normal. 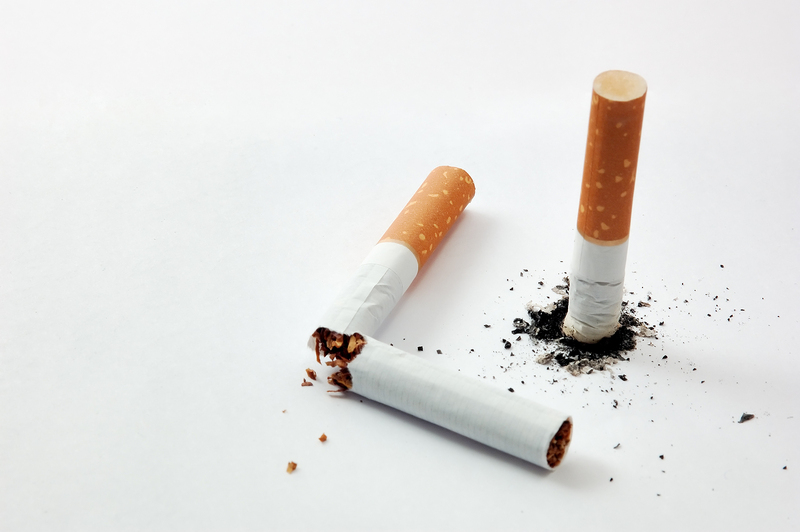 After 8 hours – Nicotine and carbon monoxide levels in blood reduce by more than half and oxygen levels return to normal. After 48 hours – Carbon monoxide will be eliminated from the body. Lungs start to clear out mucus and other smoking debris. There is no nicotine in the body. Ability to taste and smell is improved. After 72 hours – Breathing becomes easier. Bronchial tubes begin to relax and energy levels increase. After 2-12 weeks – Your circulation improves. After 3-9 months – Coughs, wheezing, and breathing problems improve as lung function increases by up to 10%. After 1 year – The risk of heart disease is about half compared with a person who is still smoking. After 10 years – The risk of lung cancer falls to half that of a smoker. After 15 years – The risk of heart attack falls to the same as someone who has never smoked. 1. Prepare for the day you quit and avoid temptation – choose a quit date that’s unlikely to be stressful and make sure you don’t have any cigarettes, lighters or matches on you. Avoid the pub or other places where people around you might be smoking. 2. Talk to DTR’s Stop Smoking Service Team about stop smoking medicines that can help with nicotine withdrawal symptoms. You’re up to four times more likely to quit for good with the help of a DTR therapist who can deliver Hypnotherapy, 1-1 or Group Session work. DTR are here for you whenever you need a bit of extra help and support. Please see website for information on Hypnotherapy. Last but not least, remember there’s never “just one more” cigarette. You CAN do it!